Our Middlesex County employment lawyers represent employees in all areas of employment law throughout the state of New Jersey. The Middlesex County sexual harassment lawyers of Smith Eibeler represent residents and individuals who work in Middlesex County in claims of sexual harassment, hostile work environment, FMLA, race discrimination, national origin discrimination, pregnancy discrimination, severance agreements, equal pay violations, unemployment appeals and wage and hour violations. Our law firm is located in Central New Jersey at the Bell Works building at Holmdel, New Jersey. Middlesex County is located in central Jersey and is bordered by Union County, Monmouth County, Mercer County, and Somerset County. It includes the municipalities of Carteret, Cranbury, Dunellen, East Brunswick Township, Edison Township, Highland Park, Jamesburg, Metuchen, Middlesex, Milltown, Monroe Township, New Brunswick, New Brunswick Township, Old Bridge Township, Perth Amboy, Piscataway Township, Plainsboro Township, Sayreville, South Amboy, South Brunswick Township, South Plainfield, South River, Spotswood, and Woodbridge Township. Middlesex County stretches from the town of Woodbridge in the north, to Piscataway and South Brunswick to the west, Monroe to the south and Old Bridge to the East. The Raritan River runs through the county. Middlesex County stretches across 322.83 square miles, including 13.91 square miles of water. Middlesex County Parks in the area include Edison Park, Raritan Bay Waterfront Park, Thompson Park, and Spring Lake Park. Middlesex County was originally settled because of its proximity to the Raritan River, and it was officially established in 1683. According to the Consensus in 2010, there are now 809,858 people residing in Middlesex County, with 203,016 families. The median age of residents is 37.2. In 2000, the median income of a given household in the county was $61,446. According to the Edison Chamber of Commerce, the largest employers in Middlesex County include the Robert Wood Johnson University Hospital, Novo Nordisk, Wakefern Food Corp, JFK Medical Center, Bristol-Myers Squibb, St. Peter’s Healthcare System, Silverline Building Products, Johnson and Johnson, Raritan Bay Medical Center, and Home Depot. Rutgers University is located in Middlesex County in the city of New Brunswick. 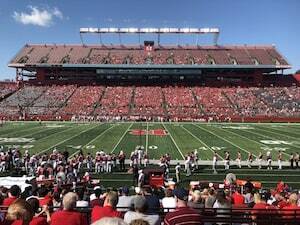 On Saturdays during the fall, New Jersey residents flock to High Point Stadium to watch their Rutgers football team take on Big Ten opponents during the season. 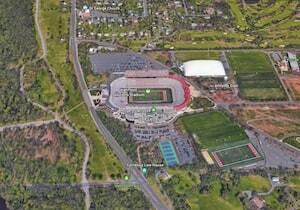 During the winter, the Rutgers Basketball womens and mens basketball team play their season at the Rutgers Athletic Center in Piscataway New Jersey. Middlesex County is also home to several hospitals included JFK Hospital in Edison, St. Peter’s Hospital in New Brunswick and Robert Wood Johnson in New Brunswick. There are several concert and entertainment venues in Middlesex County, including the Starland Ballroom in Sayreville, the Raritan Bay Waterfront Park in South Amboy, and the Court Tavern in New Brunswick. The county is also home to several top notch restaurants such as the Frog and the Peach Restaurant in New Brunswick, Fresco Steak and Seafood Grill in Milltown, and Loucas Restaurant in Edison. There are 185 schools in Middlesex County, both private and public. Local public high schools include East Brunswick, Highland Park, Metuchen, Monroe Township, Edison, and Piscataway Township High Schools. Private high schools include The Wardlaw and Hartridge School, St. Joseph High School, and the Darul Arqam School. The county is also home to several institutions of higher education, including Middlesex County College, Rutgers University’s New Brunswick campus, Princeton University’s Forrestal Campus, and DeVry University. Middlesex County has a notably large population of Asian Americans. Famous persons from the county include Susan Sarandon, Jon Bon Jovi, and David Copperfield. 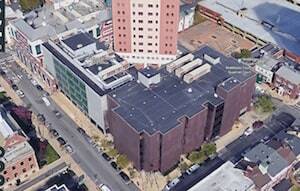 The Superior Court for Middlesex County is located at 56 Paterson Street, New Brunswick, New Jersey. Our New Jersey employment lawyers can file a lawsuit and have it properly venued in Middlesex County if one of the parties lives in Middlesex County or the employer conducts business within Middlesex County. Should you or a family member have an employment related legal issue and are in need of a Middlesex County employment lawyer, please call our office today to discuss the facts and circumstances of your employment related legal issue.